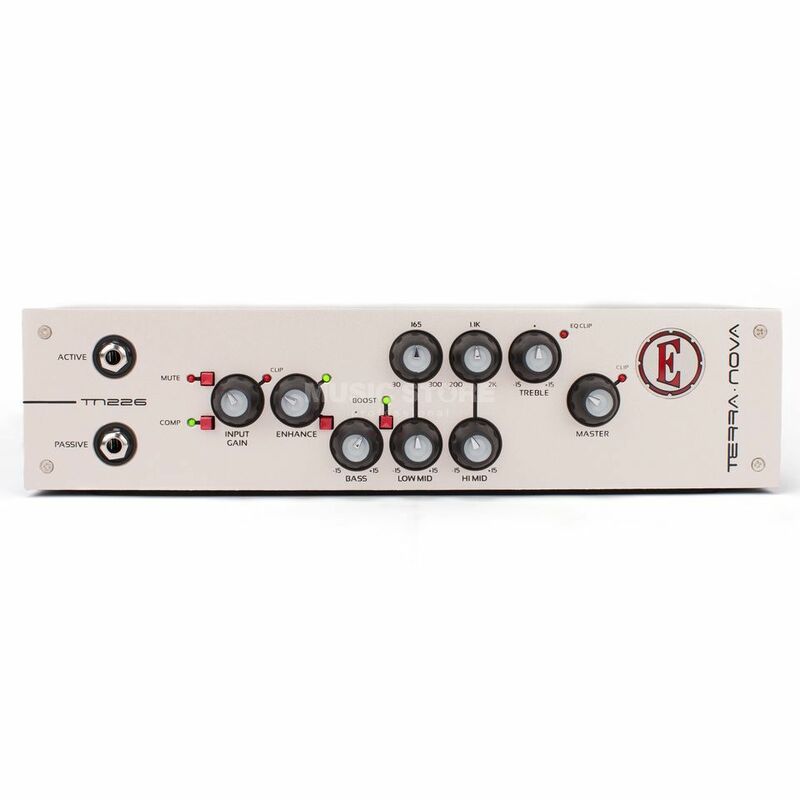 The Eden Terra Nova Head TN226 is a powerful, portable and high performing amplifier head that delivers a full feature set including a detailed semi parametric EQ. The Terra Nova is designed to deliver the perfect amplifier choice for players who are looking to play a big sounding amp but want to easily transport their rig. The Terra Nova is ultra-lightweight and conveniently small without compromising on sound or features. The TN226 is ideal for rehearsal and small bars as well as having a great DI out for when you need to use the front of house system. With a semi parametric mid section and Eden's proprietary enhance EQ sweep getting great sounds from your amplifier is a simple exercise.